This format may include full articles and/or link to longer articles posted on the department’s website. – Inexpensive. You do not have to spend money on design, printing and mailing costs. – Environmentally-friendly – no paper waste! – Saves you time. You don’t have to create a lot of new content. You can recycle and draw more attention to content already featured on your website, or elsewhere online. – Accessible in multiple formats. 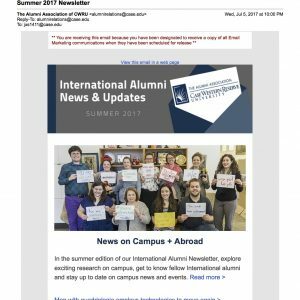 Readers can read the newsletter on a mobile device or a computer. – May limit audience. This method reaches alumni/donors with email addresses recorded in the university database. – Easily visible on mobile devices or a computer. We highly encourage and can support the production of email newsletters. If a classic print format mailed to recipients is preferred, your designed piece can be saved as a PDF and posted online. – Some recipients may prefer receiving printed mail over getting email correspondence. – Cost. Especially for small departments, the cost to print and mail publications may be too high. – Graphic design expertise and desktop publishing software is needed if you do not have a professional graphic designer available. – Time-consuming production. Publications must adhere to university branding guidelines. – Shelf life. Content can become outdated before it even goes to print. If there are errors, they cannot be corrected. – Accessibility. Print newsletters are not easy to read on mobile devices if made into a PDF. 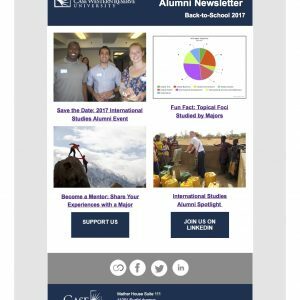 Ready to send your email newsletter? Determine what photos and content to include and send all through your department’s review process for approval. Complete this form with details about your newsletter (audience, send date, etc.). Forward your list to Anna Galipo, Senior Coordinator Development Operations/Donor Relations/Stewardship, as an Excel file (done initially/just once). Your list may include alumni, donors, friends of your program, community members, etc. Your list must include first name and last name as separate fields and should ideally include a mailing address. Anna will upload your list to the university’s Advancement Services database and create a mailing list specific to your department. PLEASE NOTE: Those on your list who are not alumni of or current donors to the university will be designated as “Friends” of the university and will NOT be solicited for fundraising purposes. 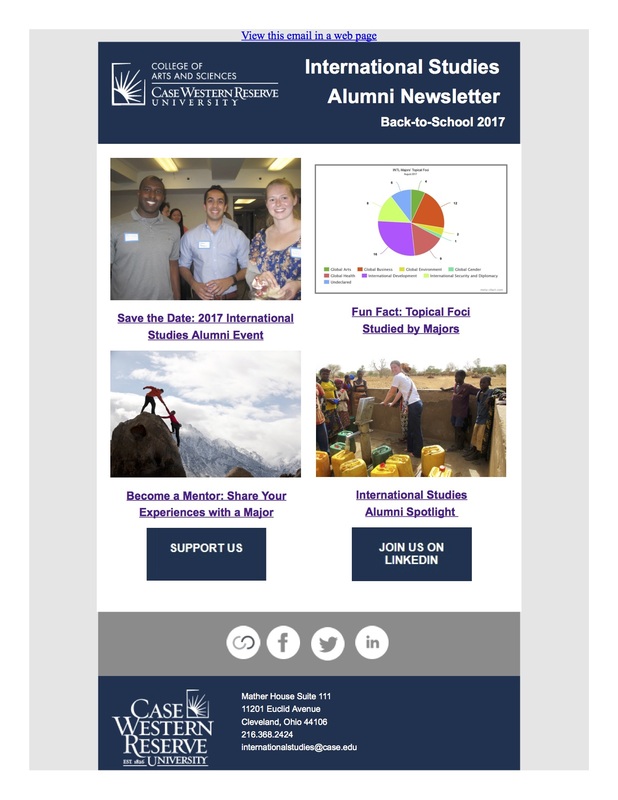 As you receive additions to your list or mailing/email address updates from alumni, donors or friends of the department, please forward to Anna Galipo, Senior Coordinator Development Operations/Donor Relations/Stewardship, at axg553@case.edu or 216.368.0096.